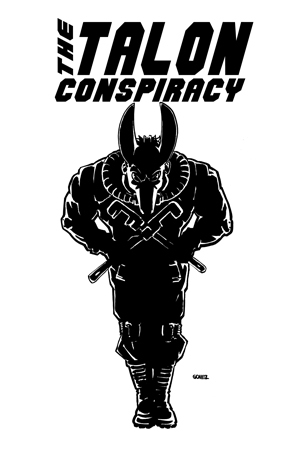 The Talon Conspiracy » Archive » The Earth First! Journal Really, Actually, Seriously Needs Your Support. The Earth First! Journal Really, Actually, Seriously Needs Your Support. From the Earth First! Newswire. Ok, it’s time to get serious. We urgently need your help to keep the Earth First! Journal in print. For 33 years the Journal has provided news and analysis from the front lines of the radical environmental movement, and although we now reach more readers than ever with the Earth First! Newswire—thousands of readers a day, sometimes hundreds of thousands—we are dedicated to keeping our magazine in print and distributed to activists, infoshops and prisoners around the world. As of today we’ve raised $7,730 of our $30,000 goal. Click here to donate! The Back to the Presses! fund raiser was started to raise enough money to print four issues of our magazine in 2014. As a supporter commented on our last fund raising post, if everyone who visits the Earth First! Newswire in a given day made a one dollar donation—or even better, a $5-$10 donation—we would already have far exceeded our $30,000 goal. If you appreciate this site—our collection of environmental news and coverage of actions; our original stories, interviews and reviews; our prisoner pages and informant tracking tools; our manuals, including the new Wolf Hunt Sabotage Manual; our newsletters, which we distribute for free every three months; and of course, our print magazine, the Earth First! Journal—then please consider donating today. Thanks to our recent Earth First! Film Fest, the still on-going Earth First! Journal Art Auction, and supporters and activists groups around the world, we have raised over $7,000 of our $30,000 goal. Each issue of the Journal costs $5,000-$8,000 to print and ship, so we’re still desperately in need of funds to reach our 4 issue goal for 2014. Subscribe, or buy a gift subscription for a friend or prisoner! Buy some Earth First! merchandise for friends, family, or for yourself! Bid on some amazing activist art at the 1st Annual Earth First! Journal Art Auction! As always, a big thanks to all of our readers, our supporters, and to all the activists risking their necks to protect the wild! Without you we would not be able to keep on going, and would have no reason to!